The Ride HERO is a seatpost and handlebar tube clamp for mounting your quick-release GoPro camera on to tubes/frames ranging from 0.75 to 1.4 inch (1.9cm - 3.5cm) in diameter. You can also clamp to chainstays, small roll bars, bolt-heads, windsurfing and kitesurfing booms/control bars, or anything else that is in the size range above. 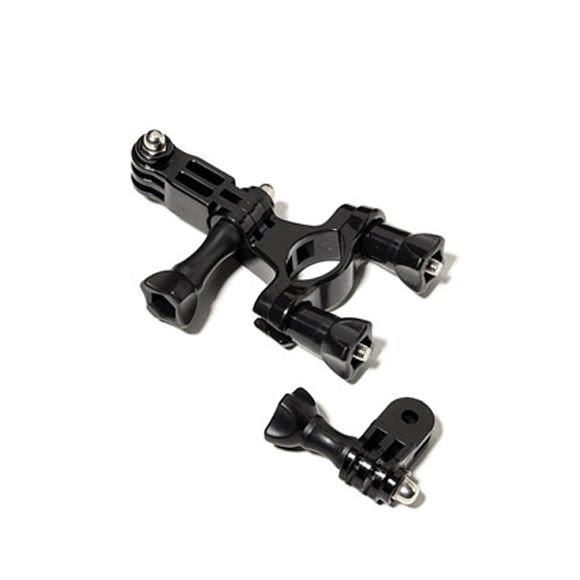 The Ride HERO is a seatpost and handlebar tube clamp for mounting your quick-release GoPro camera on to tubes/frames ranging from 0.75 to 1.4 inch (1.9cm - 3.5cm) in diameter.